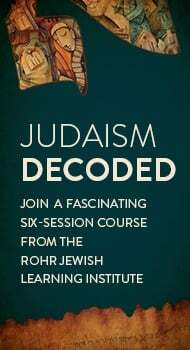 Five questions and answers with Rabbi Yitzchok Schmukler about the upcoming new JLI course, Judaism Decoded: The Origins and Evolution of Jewish Tradition. Q. Is this course just for beginners? A. No. The course brings a lot of fresh material that will be appreciated by beginners and advanced students alike. Q. Can you give an example of what types of questions are addressed? A. Sure. For example, Judaism is defined by a vast area of knowledge called 'The Oral Law'. How did this come about? Why is it necessary to add to what's already written in the Torah? Q. Can you share another? A. Another example: There are so many types of practices that come in the form of traditions, customs, laws, and so on -- How did they evolve and become part of Judaism, and what difference does it have for us? We'll also talk about Maimonides' arguement for the proof of the Torah's divinity, and many other exciting topics. Q. Is the learning more text-based or discussion-based? A. A wonderful blend of both. For example, we'll look at a Biblical verse and try our hand at a Talmudic analysis of it. We might even engage in a type of Talmudic Debate of our own! We use the official JLI student textbook as our guide. Q. What if I'm not sure I'll like it? A. We invite all students to try out the first class, free of charge and without any commitment. If you like the first class, you can then sign up for the rest of the lessons. As a side note, if you ever have to miss a class we'll be glad to provide you with an MP3 recording that you can listen to on the road or going for a jog. Course fee is $99 (Book for two and save 10%!). Includes student textbook. Any Questions? Need help registering? This Sunday: Fun Kids' Program! Jewish Kids in Action will be getting together for a fun Make-Your-Own Kosher Pizza and Ice Cream Party on Sunday, April 26, 2:30 to 4:00 pm. It's going to be blast, don't miss it! "Jewish Kids in Action" is a Bay Area youth club where kids join together for fun, interactive activities that promote Jewish values and friendship! Each meeting features fabulous craft projects, mitzvah-action adventures, games, prizes and more! Thousands around the world are eagerly anticipating the start of the new JLI (Jewish Learning Institute) course, Judaism Decoded. How did Judaism get to what it is today? Do we have any evidence that the Bible text is divine and true? How did the Oral Law develop? Who has the right to interpret the Bible? Is Jewish law adaptable to modern times and changing influences? 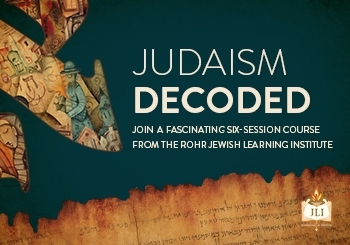 Join us as we explore the answers to these questions in Judaism Decoded, the most popular course ever offered by the Jewish Learning Institute. RSVP by this Monday, April 20 to save 5% off the registration. Register with a friend and save an additional 10%! Hurry, the first lesson is Tuesday, May 5th, 7:30 to 9 pm. Contact us at: JLI@JBayArea.org | 713-398-2460. 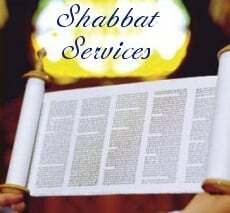 This Saturday, April 11 enjoy a refreshing Shabbat & Final Day of Passover morning service, sprinkled with beautiful Chassidic melodies, insights into the prayers and a brief discussion on the Torah portion. Followed by a delicious Kosher for Passover Kiddush lunch! Service: 10:00 am, followed by lunch. The Jewish Herald Voice, Houston's Jewish newspaper of record has published a full page profile story on Chabad of the Bay Area. Finish burning remaining (unsold) chametz by 12:21 pm. We'll be hosting a Chametz burning 11:15 to 11:45 am at 1910 Claiborne Dr, League City. Light holiday candles (from a pre-existing flame) after 8:16 pm. Passover continues through Saturday, April 11nd at 8:21 pm (time is local to the Clear Lake Area). Join us tomorrow, Saturday, April 4th for a Shabbat and Holiday morning service at 10 am. Plan on attending? Drop us an email so that we can tally the Minyan count: info@jbayarea.org. Thanks! Mail: Chabad of the Bay Area, 1910 Claiborne Dr, League City, TX 77573.